Welcome to the Friends of the Stewartstown Railroad, Inc. 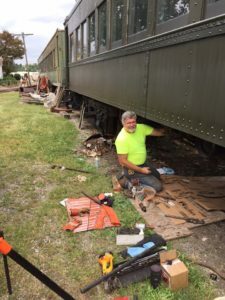 The Friends of the Stewartstown Railroad, Inc., is a Pennsylvania non-stock nonprofit corporation, tax-exempt under IRS regulation section 501(c)(3), operated by unpaid volunteers dedicated to the preservation of the Stewartstown Railroad. Donations to the Friends in excess of annual membership dues are tax-deductible for most people. Since everyone’s tax situation is unique, we encourage potential donors to check with their tax advisor to determine the benefits available to them from making a donation to the Friends. Membership in the Friends is open to all who have an interest in railroads, history, and the Stewartstown Railroad in particular. See our “Membership” page to download a membership application. Many members of the Friends perform volunteer work on the Stewartstown Railroad ranging from hosting “open house” events at the railroad’s main station in Stewartstown, building maintenance, equipment maintenance, track repairs, and brush cutting along the right of way, just to name a few tasks. 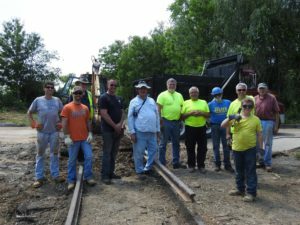 Some of the Friends members have also been trained by the Stewartstown Railroad Company to operate railroad equipment as part of the train crew. While membership in the Friends is not required to volunteer on the Stewartstown Railroad, it is the dues and donations made by members and supporters of the Friends that help to pay for supplies and materials used by the volunteers in performing their various tasks on the railroad.